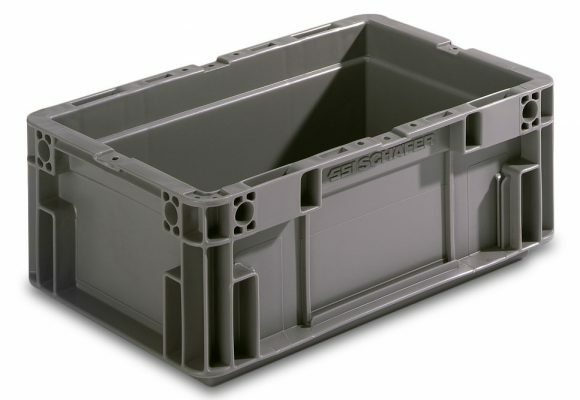 SSI SCHAEFER offers durable but lightweight straight wall containers that offer the utmost parts per container ratio. 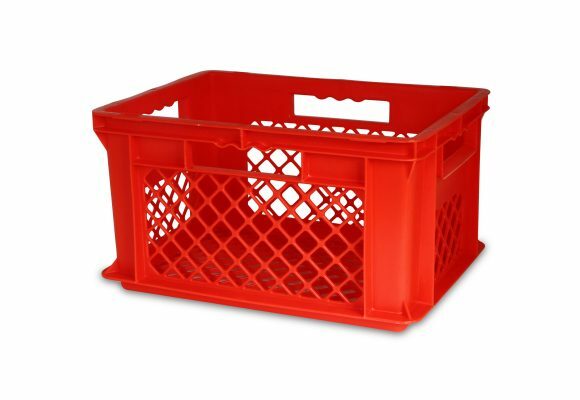 Designed for ergonomic comfort, SSI SCHAFER straight wall containers are easy to transport and brings sustainability to your supply chain. NF NewStac containers from SSI SCHAEFER maximize function and minimize handling with features that support multiple industries. The NewStac lightweight design allows you to pack more products while complying with 33 lb. handheld standards. A new design sidewall and rimless option provide uninterrupted surfaces for placards. Great for automotive and other industrial applications. 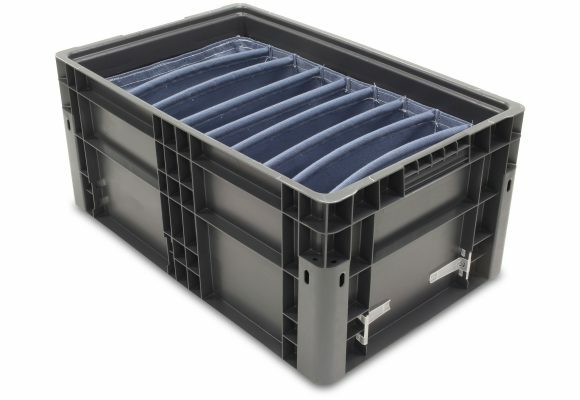 Preferred worldwide by manufacturers of automated storage and retrieval systems, these straight wall containers come in twelve sizes and three footprints. These containers are designed for SSI SCHAEFER automated systems. Plus, you’ll find barcode placements on all four sides as well as an 8.25 x 3.25” molded card holder. Great for automotive and industrial applications. An innovative lightweight handheld container, the ELB is durable but is light enough for everyday use. Plus, the ELB is sensibly priced. Ergonomic grips allow for easy handling and carrying. Optional attached lids for greater security and three base options. The ELB is capable of carrying up to 150 pounds. Great for electronics, food, retail, and special applications. 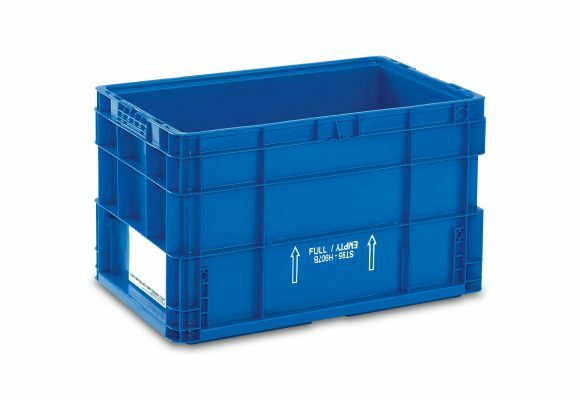 Designed for versatility, the EF straight wall containers are sturdy yet lightweight and are easy to clean. 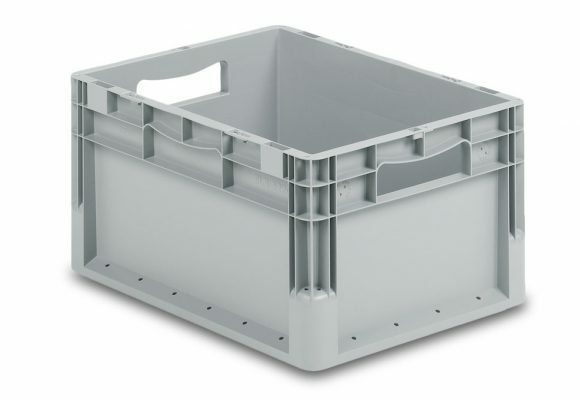 Suitable for foods, the EF straight wall container is oil resistant and deters most acids too. Plus, the EF handheld container can withstand extreme temperatures, making them ideal for applications in heavy industrial or manufacturing facilities. EF straight wall containers securely stack loads up to 272 pounds and feature a smooth base and interior, which allows for maximum fill. Great for heavy industrial and manufacturing applications. Made for heavy-duty applications, the LTB straight wall container features a specially designed bottom for any application. 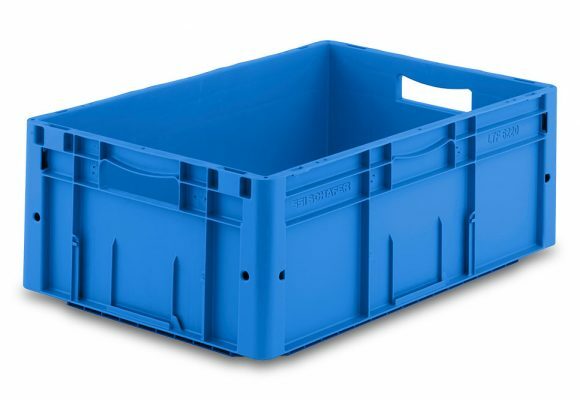 Made of FDA approved polypropylene, SSI SCHAEFER LTB stackable straight wall containers feature double-wall corners, a reinforced lower and upper rim as well as four sturdy corner posts. The specialty engineered bottom ensures trouble-free running on all conveyors. Great for supply chains and automation, this handheld straight wall container guarantees a high resistance to twisting and offers superior performance even with automated storage systems. 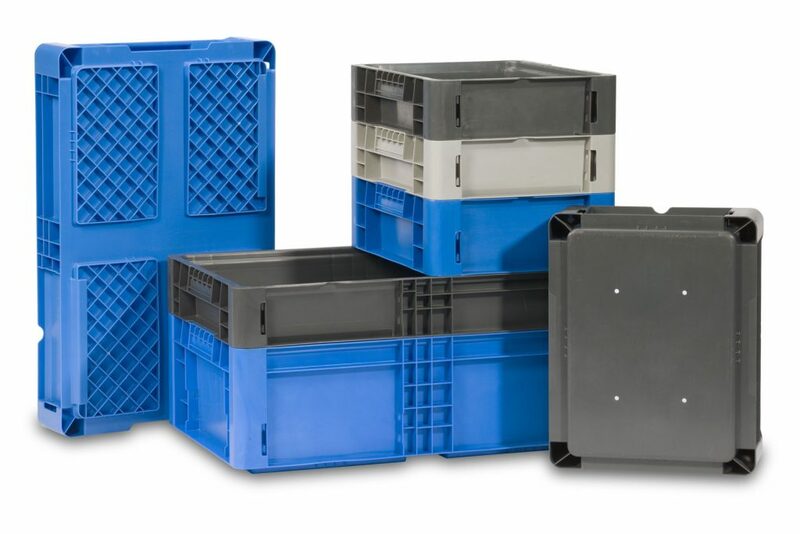 The LTB containers stack and inter-stack for easy storage and shipping. LTF containers feature a reinforced base with patented design for silent running on conveyor systems. 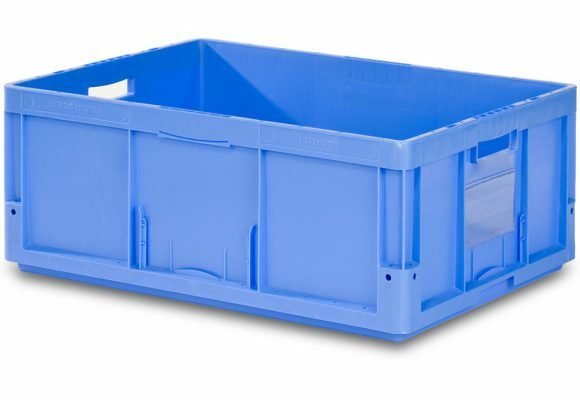 This straight wall container features perpendicular sides for maximum usable internal space and specially designed corner posts to facilitate high stacking loads and easy cleaning. Also, the LTF has a protected area for barcodes and are RFID compatible. The LTF is a great choice for medium-duty applications. Great for automated systems applications.